“Keep practicing!” Mother told me. All I could think about was going outside to play with my friends. 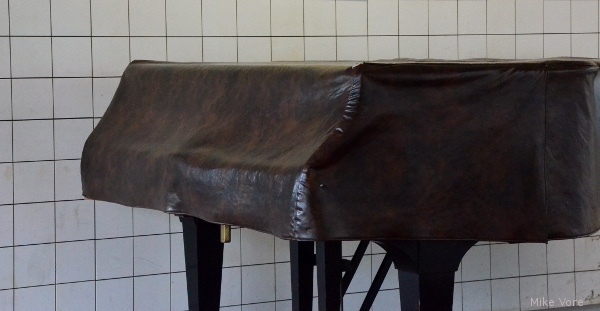 I didn't want to be practicing on this ol' piano. I let out a deep sigh and continued to plunk on the piano knowing the song I was playing didn't sound like a song at all. Maybe mother will get tired of listening to this horrible piano playing and let me go outside to play. Thank you Mike Vore for our photo prompt this week! 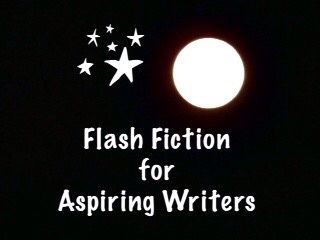 This is my 94 word story for the flash fiction challenge, Flash Fiction for Aspiring Writers. We are given a photo prompt and approximately 75-175 words with which to create our stories. It's fun and everyone is invited to participate! For more information, click HERE. Poor kid, the mother is being too hard on him. I think she’s trying to make a prodigy out of him when all he wanted was to be a kid. Nicely told. Thank you so much Yinglan! I think you are right! Hahaha… too cute! Sometimes moms are like that but the Roddy got his way! Yes, he sure did! LOL! Thank you Shivangi! Hahahahaha nice one and works every time 😂 poor kid just wants to play outside. Hahaha! Yes, he just wants to go outside and play not play the piano. LOL! I can almost imagine the kid plunking whatever keys he could get his hands on to annoy his mother! xD Loved the story, and it made me grin. Haha! Yes, me too! Thank you so much. I’m glad you enjoyed it! Just about every parent I know has had to struggle with that first year or so when their children take a musical instrument. It gets better. Hahaha! You are so right James. When I was little I tried learning how to play the piano and later, the flute. Hahaha! You are absolutely right about that – they are the exact opposite. LOL! Hahaha! I’m sure you are right! Thanks Iain! I wish I had stuck with it too! this was so adorable – the reluctant plunk plunk i could almost hear all the way over here too! Hahaha! He didn’t want to play the piano, he wanted to play outside! Like I was when I was taking piano lessons. LOL! thought it was you! my kids were the opposite – loud banging and all sorts of noises when they picked up an instrument had to make them stop and go play outside! Hahaha! That’s funny! They wanted to play instruments and you wanted them to go outside and play. Hahaha! Your little girl did the same thing? That is so funny!! Yes, she did! I was wondering why she plunk plunk plunk all the way when she could play properly. But the moment I said, ‘Go play!’ She jumped for joy. Guess we can never force it into a child. Hahaha! Hahahaha! That is hilarious Funsie! I truly wish I had stayed with the piano learning. My little girl stopped too. But after hearing from you, it makes me wonder if I should force her to continue. Do you regret not continuing, PJ? Yes, I really do regret not finishing my piano lessons. No, I don’t think you should force her because she would hate it. If you could somehow get her to want to play would be great. Maybe once she gets a little older she will change her mind. You are welcome!! Hahahaha! You’re right. It’s hard to listen to them at first. I tried learning how to play the piano and then the flute. Oh nice. Any luck with either? I got to where I could play a little bit on both. Yes, I use to be able to. If I sat down at a piano and practiced for a month or two I probably could again. LOL! Probably a lot! I’m pretty sure I was one of them. LOL! Ha! Ha! Love Roddy’s resourcefulness. 😀 An endearing tale, PJ. One that every parent and child can relate to. Haha! Thank you Sailaja! I’m pretty sure I was just like Roddy but now I wish I had not been. LOL! Hahaha! That is funny that she caught on to you! I know a musician couple who tried took great pains for their daughter learn to play harmonium, It was after much sorrow to all parties they learned that she was tone deaf. Great write. Oh no! She was tone deaf! No wonder she couldn’t play the instrument. Love your story…I’m sure there are many people that had children that tried that trick. The lessons are usually 30 minutes or 60 minutes, but to a child that wants to play outside, it may as well be 3 hours or 6 hours! I think they have to have the desire to play the piano more than their parents or they will lose interest after finding out it takes a certain amount of decication to learn the skill. It’s always easier to learn playing some type of sport. It’s not so confining. You’re right Jessie! It is very confining for a child to sit for an hour and play the piano for daily practice. Yes, it is easier for them to learn a sport because they can get up and run around and play. Thank you so much! No problem. I understood! Thanks! That could have been me as a kid! I hated piano lesson, mainly because my teacher rapped my knuckles with a ruler when I made mistakes. Now I regret not learning, although fortunately I can manage quite well playing by ear. That is wonderful that you can play by ear! A simple strategy, bu so effective. My kids play the piano. I’ll keep an ear out for this trick! I’ve also written my first flash fiction post on this photo prompt – if you fancy a read. Thank you Kay! I appreciate you reading and liking! What a great story! Just like a kid (and a Mom.) Made me laugh from both sides – child and mother. You capture the emotions perfectly. Thanks for sharing. Thank you so much athling! I truly appreciate your kind comment. Hahaha! And I am sure that now you are glad they did. Hahahaha! I’m sure he will thank ya’ll one day and not have you committed. LOL!! Hahaha! I will keep my fingers crossed that she doesn’t commit you. Haha! Hahahaha! That’s a good idea! Hahahaha! Me too! I will gladly take the piano!
! I’m sure he will thank ya’ll one day and not have you committed.
! I will keep my fingers crossed that she doesn’t commit you.